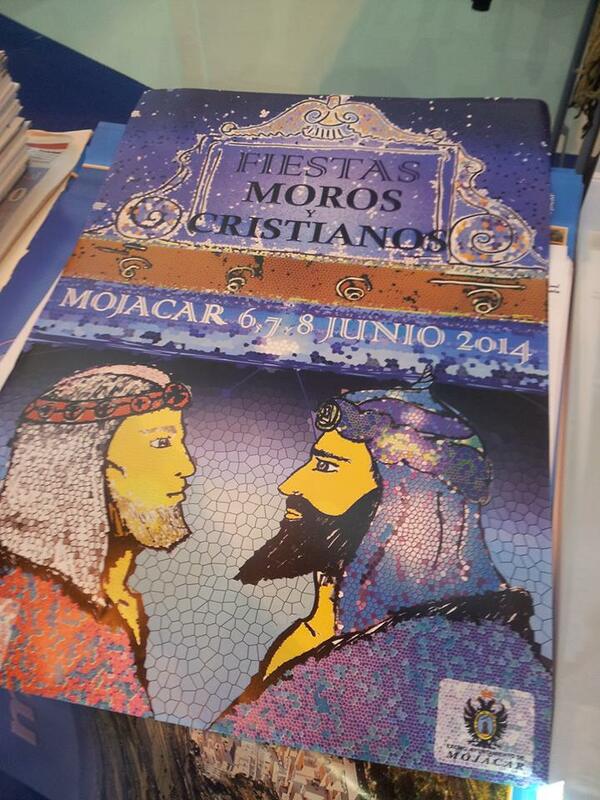 Mojacar has revealed its 2014 poster for the Moors & Christians (moros y cristianos) festival this year at FITUR world trade fair in Madrid. It’s the annual unveiling of the much awaited poster, which is quite a collectible I’m told. 6,7 and 8th of July this year. This entry was posted in Blog and tagged mojacar, moors and christians by David. Bookmark the permalink.